Thanks for coming out for a run on the trails of Ward Pound Ridge Reservation. Tom Nohilly gets the runners ready to start. The inaugural Raven Rocks Run was a success by all accounts. Over 300 runners participated in the 10k race. Runners from 6 states were represented – The 4 states nearby (NY, CT, NJ, and MA) plus a runner from Florida and a runner from South Dakota. If you have any race related feedback, please let us know using the contact form — or send us an email at ravenrocksrun@gmail.com. Feedback is like a gift — positive or negative it will be used to make the race a better experience in the future. Thanks to John Baker, Jeff Main, Chase, and Sean — all from the Parks Department — for being there to help with everything we could ask for. The fire pit was the best idea! The overall men’s winner was Luis Francisco from Mahopac who finished in 45:31. The overall women’s winner was Tiffany Carson of New York City who finished in 57:24. 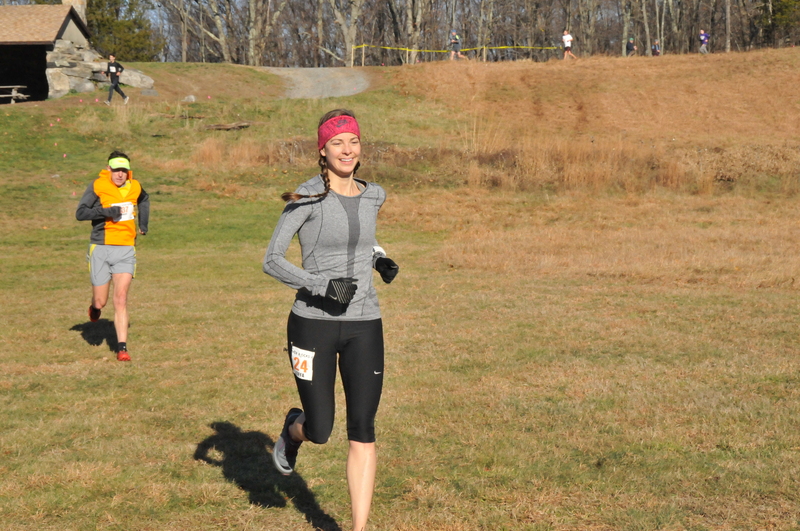 With her win, Tiffany also secured her first place overall finish in the 2015 Trail Mix Trail Series (trailmixseries.org). 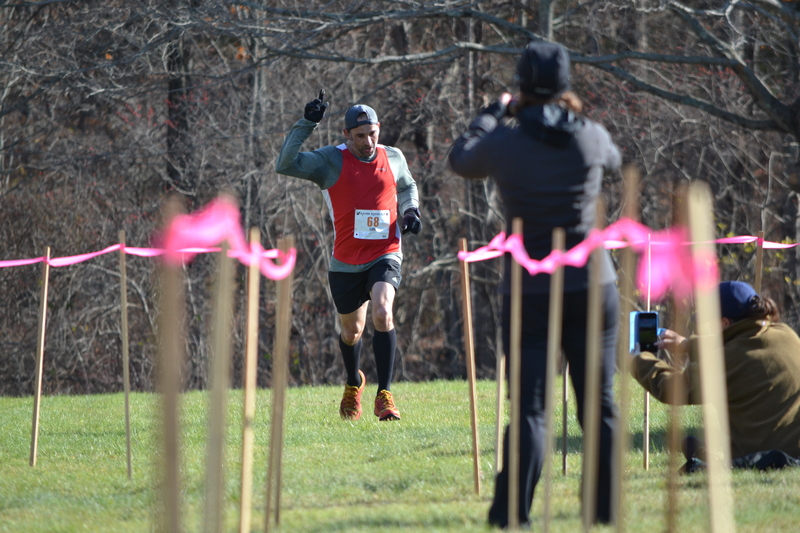 The series combines results from six trail races in Westchester and Fairfield Counties during 2015. Rounding out the top three men were two local high schoolers: John Jay’s Charlie Stewart (46:37) and Fox Lane’s Cole Rooney (47:09). For the women, Cross River’s Rachel Massa was second overall (1:01:29) and West Harrison’s Tracy Lawrence-Black (1:01:41) was right on her heels. Other notable finishes: Tom Nohilly, coach of the NY State champion John Jay Girls Cross Country team finished 4th overall. Youngest runner Eamonn Sullivan (12 years old) finished in 11th place overall (52:03) just ahead of his dad, Gerry Sullivan (52:05) who is the Fordham Prep Cross Country coach. Gerry also secured his win in the men’s 2015 Trail Mix series. Tony Godino, founder of the famous Leatherman’s Loop trail race ran the tough course in 1:26:05 and walked away with an age group pie prize. An event like this simply does not happen without the help of volunteers. I will put our volunteer page together soon but wanted to call out some people who were instrumental in getting this race off the ground and running smoothly on race day. First — my wife, Ciorsdan. Thanks for your help and listening to me talk endlessly about the race these last few months. I promise to stop for a while. Tony Godino – without your help and guidance via working with you on Leatherman and Run The Farm over the last 8(!) years, I would not have been able to pull this together. 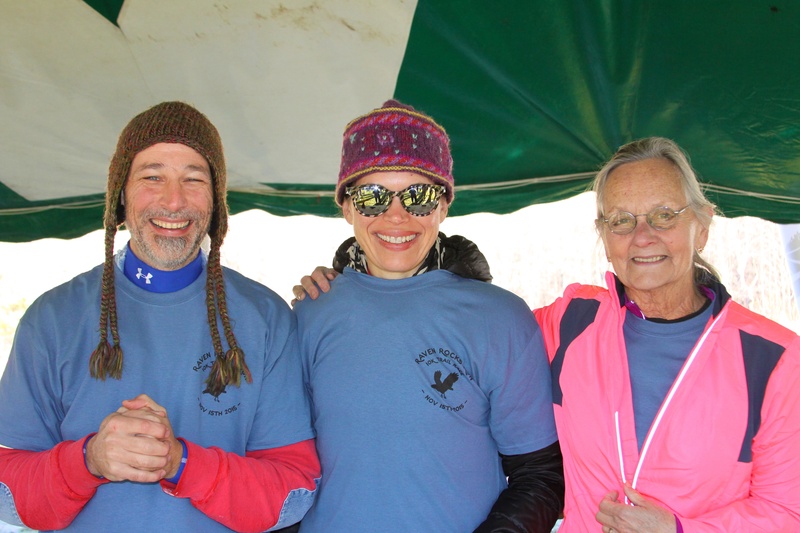 Judy Godino – your calm centered demeanor helps everyone know all will be OK. Lee Willett – your leadership with the Sunday Runs group has been amazing and so appreciated. Joe Mokszycki pre-ran the course starting in the frosty grass before 7:00am on race morning to make sure everything was marked well and nothing was moved or blown away. Tom Cohn from the Friends of Trailside Museum board of directors has been incredibly supportive of the race and helped make it all happen with the county and museum. John Young, Mike Berardino, and Ruth Littman hiked up to the Fire Tower site and served everyone water. Andy Hafter personally sliced nearly every bagel and orange for the runners (with the help of my mom Pat Cummings!). Eleanor Hershey and Debbie Mullin made sure no runner was left behind acting as race sweeps. Brian Stempel, Jill Mango, Sam Mango, Kathy Lynch, Orion Cummings, Sawyer Cummings, Deb Buscema, Shirley Copeland, Alan Wegener, Jeff Thompson, Mark Vincent, Karen Haitoff, Chris Cassone, Mike Paletta, and Bill Bradsell all helped with registration, parking, course marshaling, and general on the spot assistance. Last but not least – David Vogel donated the finish line banner. If I am forgetting anyone please forgive me! Special thanks to our official starter Tom Nohilly. You all heard his brief bio at the start. As great an athlete as he is, I think he has exceeded that as a trainer and coach. We wish the John Jay Girls Cross Country Team the best of luck as they compete in the U.S. Nationals in early December. I saw a bunch of the team members at Raven Rocks cheering the runners on — this was one day after they won the NY State Championships! 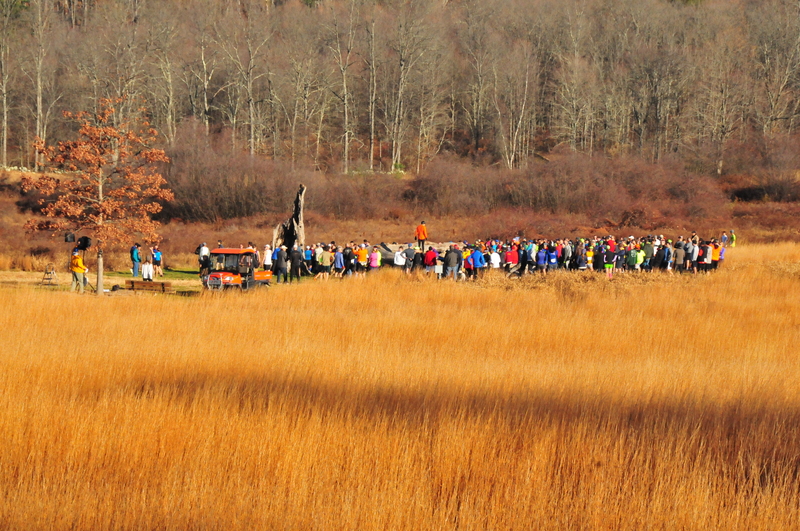 Many runners joined as members of the Friends of Trailside Museum and Ward Pound Ridge Reservation. You will be getting your membership information shortly from them. You can still join online – or fill out and send in the membership form here. The Friends group is very interested in restoring the Cross River Mountain Fire Tower to the park. The Fire Tower stood from 1927 through the early 1980s when it was removed without county permission and dismantled. The Friends of Trailside want to correct this historic error and create a beacon that will draw visitors to the top of the park for incredible vistas of the surrounding countryside. If you are interested in this endeavor, Friends of Trailside board member Tom Cohn wants to hear from you and enlist your support. 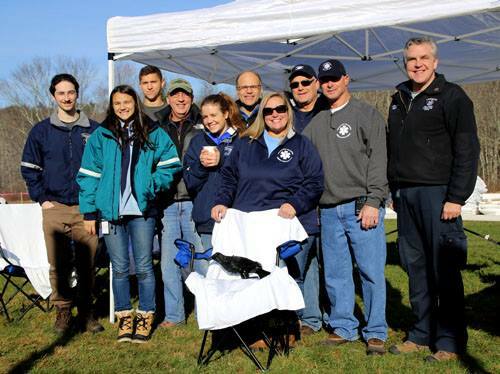 The Lewisboro Volunteer Ambulance Corps was out and ready to heal on Sunday. Thanks Lucian Lipinsky, Andrew Stagnari, Ann Hirsch, and the rest of the volunteers. LVAC has been a steadying and very helpful presence at the Leatherman’s Loop for years. It was great to have them at Raven Rocks! We hope you met them after the race while fixing yourself a bagel and some coffee. We have posted photos from our fantastic team of shutterbugs here: https://leathermansloop.smugmug.com/Raven-Rocks-Run/2015. Thanks to Ciorsdan Conran, Carol Gordon, Deborah Burman, Keith Realander, Diane Bradsell, John Cummings (my dad! ), and also thanks to a few of our runners who uploaded photos so far. 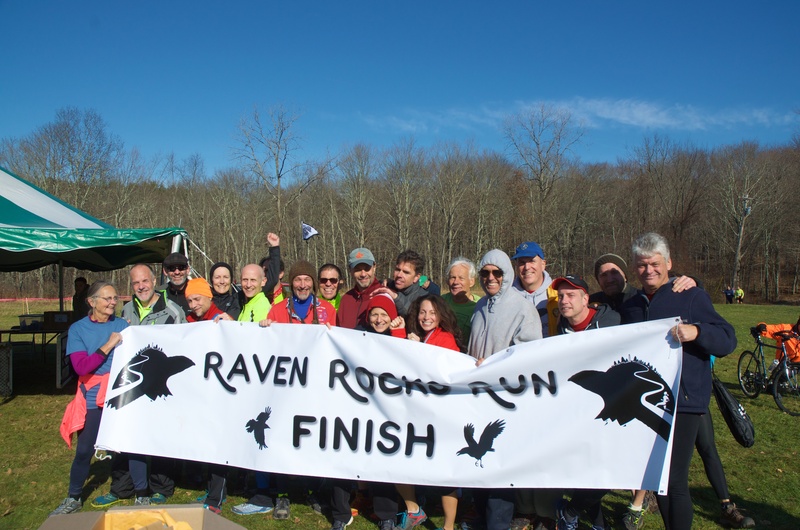 The Raven Rocks Run was the final event in the 2015 Trail Mix Trail Race series (http://trailmixseries.org). The series was in it’s second year in 2015 and grew from four races to six from 2014 to 2015. Congratulations to Tiffany Carson and Gerry Sullivan for taking the 2015 overall series. More details and age group winners can be found at the links above. Thanks to the other race directors in the series for having a fun 2015 — we are looking forward to the 2016 Trail Mix Series — who knows what is in the cards! Many of our regular sunday runners are race directors and volunteers for the Trail Mix and many other local races. It is a very fun and welcoming group. 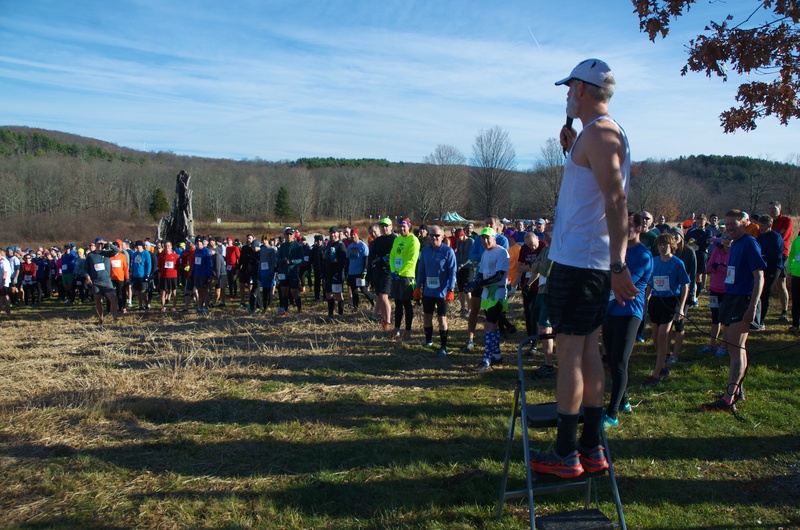 Our group runs include course checks for many local races including the “Looper Bowl” running of the Leatherman’s Loop course on Super Bowl Sunday. This year will be the 5th year we have that group run. I am also thinking of a winter group run of the Raven Rocks Run course — somehow the name “Raven Lunatic” popped into my head. Date TBD after talking with Lee (aka the King of Clubs)! If you are looking for a great 5k road race this coming Saturday, Deb Buscema, who was one of our volunteers on Sunday — is organizing the First Annual Lower Salem Turkey Trot 5k in South Salem, NY. Registration link is here: http://fasttracktiming.com/races/11212015-lower-salem-turkey-trot/. The course is a local favorite, circling around beautiful Truesdale Lake. I am biased since it runs right by our house! The course heads in the opposite direction of the South Salem Memorial Day 5k which Deb also directs. Lastly, the 30th anniversary of the Leatherman’s Loop 10k Trail Race is coming up in 2016. The Loop Lottery will take place in early January. Check the link for more information. Sign up to receive emails from the Loop and also follow the Leatherman on Facebook and other media to be reminded of when to sign up for the lottery. Thanks for coming — and reading until the end. It was supposed to be just a short summary! Hope to see you on the trails!